Singapore, 15 November 2013 – channel M, FOX International Channels’ leading Korean entertainment channel, is celebrating its first anniversary this November since undergoing a rebrand 12 months ago. Supported by CJ E&M, Korean’s most prestigious media conglomerate, channel M, has been at the forefront of spreading Koren culture and entertainment in Asia. Currently available across 156 million households in Asia, channel M is the destination for the best K-Pop content with its strong suite of first and exclusive of title shows. Since 2012, channel M has aired an array of popular variety and drama TV series. In terms of variety shows, WIN, Who is Next (September 2013) is a reality show where YG Entertainment, one of the biggest music label in South Korea, searches for the ultimate boy band between two rival groups. Grandpas Over Flowers (October 2013), a hit travel variety programme in Korea brings together four veteran actors averaging 74 years old on a back-packing journey to Europe. Scoot: K-Pop Star Hunt 3, an original production tailor-made for Asia viewers, crowns the top contestant from the talent series to fulfill their aspirations as a K-Pop star. For drama series, romance comedies such as Reply 1997 (December 2012), fantasy idol Flower Boy Next Door (April 2013), Dating Agency (July 2013) have brought in strong ratings among the viewers, while mystery detective series, Who Are You (October 2013) starring actress, So Yi Hyun and idol actor, Taecyeon from male pop group 2pm is also a first and exclusive title on channel M.
With the addition of Mnet, the global number one K-Pop network, channel M has been delivering a diverse choice of top notch, K-driven captivating programmes such as drama, lifestyle shows, concerts and movies as Asia’s channel of choice for K-Pop. To kick off the channel’s birthday celebrations, channel M, will air Asia’s greatest music festival, the 2013 Mnet Asian Music Awards (MAMA) LIVE. Synonymous for its advanced staged production and mega-scale performances, the annual premier music event boasts a line-up of the most outstanding artists of 2013 from Korea as well as internationally recognized musicians from other countries. The year end music awards ceremony is one of the most-watched TV music event on channel M four countries such as Hong Kong, Indonesia, Malaysia, Philippines, Singapore, Taiwan and Thailand. 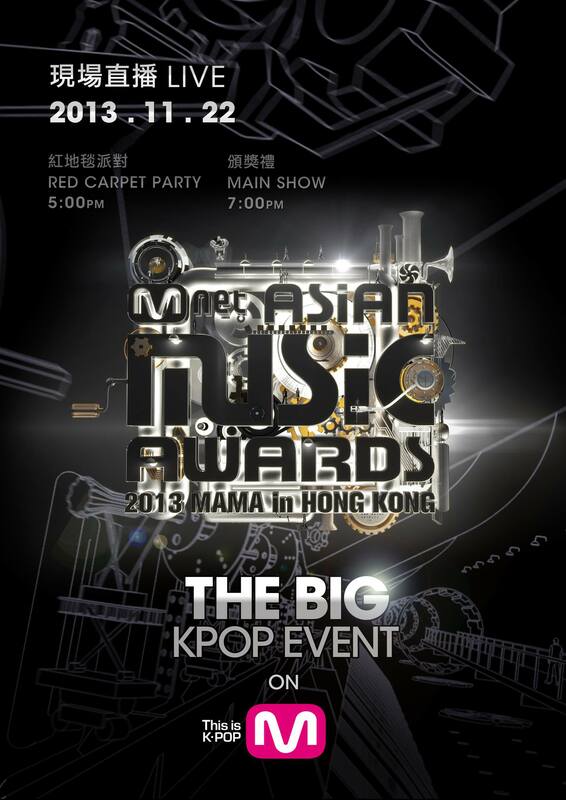 As the exclusive cable TV broadcaster and producer for this visually stunning music extravanganza, channel M will telecast 2013 MAMA Live from Hong Kong’s AsiaWorld-Expo (AWE) on the 22 November @ 7 pm. World wide music sensation, Big Bang, is confirmed to perform at the event. Host of channel M’s exclusive variety show Kimchi Fanclub, Yura Seo, will be at the center of all the LIVE red carpet excitement, interviewing the stars about their nominations, fashion and upcoming show performances, starting from 6pm HKT on the same day. channel M will also be adding the highly anticipated romance comedy television series, Reply 1994, to its slate of first and exclusive TV series. 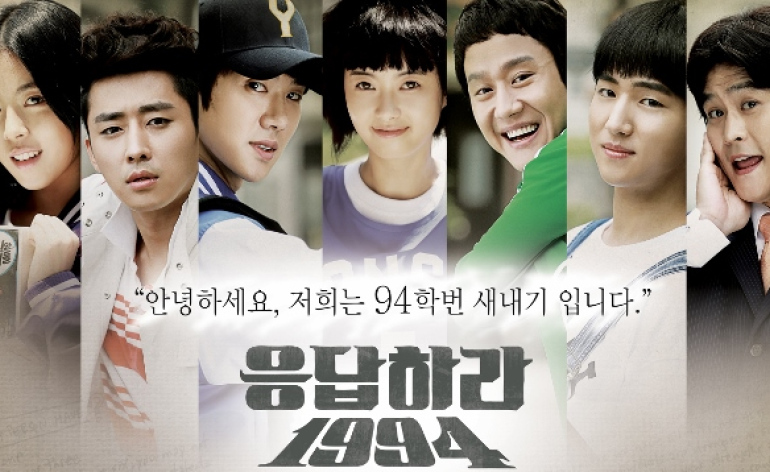 Premiering in February 2014, Reply 1994 is produced by the same team behind the 2012’s popular series, Reply 1997. Director Shin Won-Ho and Scriptwriter Lee Woo-Jung returns to helm this drama series which follows a group of college students who moved from the countryside to live in the big city of Seoul, their experiences through various cultural events that occurred in 1994; including the emergence of Kpop group Seo Taiji and Boys and the Korean Basketball League. Be sure to tune in to channel M at StarHub TV Ch. 824 or SingTel mio TV Ch. 518 and follow them on their official Facebook page! [NEWS] Singaporean dance power on Dancing9 Season 2 – Will Tasha be chosen by the dance masters?